At Total Body Wellness Life Enhancement Center, we strive to help people learn about themselves and their health status. Total health risk evaluations can be performed, yielding a lifestyle risk profile. In addition, examination and counseling will evaluate and improve our patients’ immune systems. The goal is not to turn patients into fitness/health fanatics, but rather to teach them to work a customized health program into their lifestyles. Each patient will learn about himself or herself, and then will be able to take a proactive approach to healthy living. Your care at Total Wellness Life Enhancement Center will follow a holistic approach. Components include clinical nutrition, immune system enhancement, laboratory analysis, body detoxification, and physical exercise information. An in-depth consultation will provide each patient’s background and further define the patient’s overall health goals. A personalized multi-faceted plan of action for the patient is designed to correct hormonal, glandular, and chemical imbalances directing the patient towards the healthiest lifestyle possible. A guest editorial appears in the March 2001 issue of Post Graduate Medicine, entitled “The Case For An Ancient Cause,” written by three medical doctors it made the case for maintaining health, and preventing diseases, opposed to curing disease once it appears. The author stated that over the past decade, public policy and funding has favored developing cures as opposed to preventing disease. It could easily be stated that this approach has been commonplace for much longer than that. Nevertheless, it points to an ongoing problem in the United States that is apparently getting worse with no relief in sight. In 1988 C. Everett Koop, the Surgeon General of the United States at the time, issued a report to the American people regarding health and nutrition. Dr. Koop emphasized that chronic degenerative diseases such as heart disease, stroke, cancer, and diabetes must be prevented since the search for cures have been fruitless, and the treatment and rehabilitation cost- prohibitive. The article in Post Graduate Medicine also mentioned medicine’s focus on cures have been less than successful. It cited a recent report by the World Health Organization stating that while the U.S. leads the world in healthcare expenditures, it only ranks 37th in overall healthcare performance. The report evaluated and compared 191 countries around the world. “Why such a disparity?” the editorial asked. The answer the author suggested, is a lack of interest in prevention. – Ranks as the 37th most effective healthcare system in the world! Behind Costa Rica, and ahead of Estonia. – The U.S. ranks 27th in infant mortality! – On May 8, 2001, Tom Brokaw reported on the NBC Nightly News that the cost of prescription drugs were sky-rocketting, and that these drugs are critical in fight to keep America healthy! No mention was made of the side effects of these drugs, or the deaths that occur each year from the use of prescription drugs. – This system is not healthcare – it is sick care! 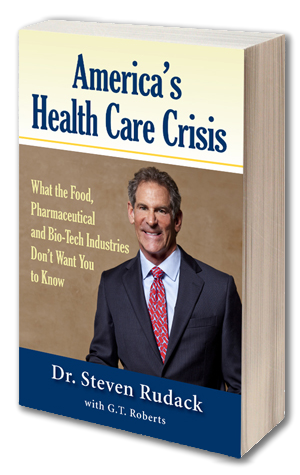 Much of the material in this package will emphasize the difference between healthcare and “sick care.” Our primary interest is to improve diet, digestion, and detoxification. In no way do we advocate the use of nutritional measures to replace proper medical procedures, but to simply reduce the need for them.